With architectural software being more commonly used by engineers, a move to the use of virtual reality (VR) to when it comes to building design, and even – eventually – a robotic workforce for practical tasks, isn’t out of the realms of possibility. 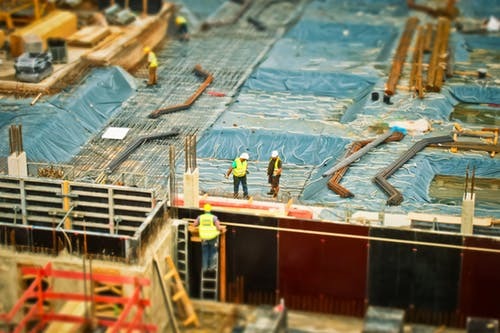 In this article, building design software specialists Oasys, take a look at what changes could be coming with regard to both builders and construction workers, as our world becomes more advanced with technology. Over the years, we have seen constant changes in the way we work, and the construction sector has been very accepting to new and innovative methods to make jobs easier. From hammers to nail guns, shovels to diggers — and now practical labour to programming. When it comes to a common piece of software that is used in construction, Building Information Modelling (BIM) is an element that can be beneficial, as it allows the appropriate people to access all of the information about a project in one place. It can look at key stages of a project across the lifecycle of a job and provide the information that is needed. This can save both time and money for any construction company and allows builders to have a clear oversight. BIM can help illustrate the entire building, from starting processes to its demolition, and can even show how materials can be reused. This suggests that technology is taking over, and if people want to remain in the loop of having a career and developing personally with the changes, it’s best to start sooner rather than later.Is there a threat to jobs? In terms of reduction in physical workers, there is a lot of uncertainty. However, this can be challenged if we start preparing early and encourage current and future workers to adapt to the changes. This could include advancing their own skillset with a focus on how they can do their job better with the use of technology.